Governor Rochas Okorocha ofr Imo State virtually went mad yesterday in Owerri, the Imo State capital when he slapped a female official of the Independent National Electoral Commission, INEC, who was returning from Nwangele Local Government Area of the state where she conducted the Presidential and National Assembly elections. 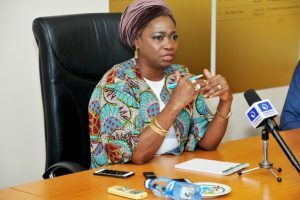 According to a senior INEC official who spoke to journalists on the condition of anonymity, the officials were returning from Amaigbo, Nwangele LGA headquarters but their vehicle was involved in a road accident near Akwakuma Junction and got some of them injured. “They immediately called for another vehicle which they got and transferred the results. It was there that the governor now saw them while returning from Orlu Road to Owerri. 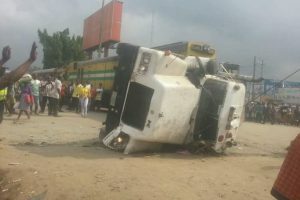 His convoy stopped and he approached the accident scene and immediately asked about the electoral officer. 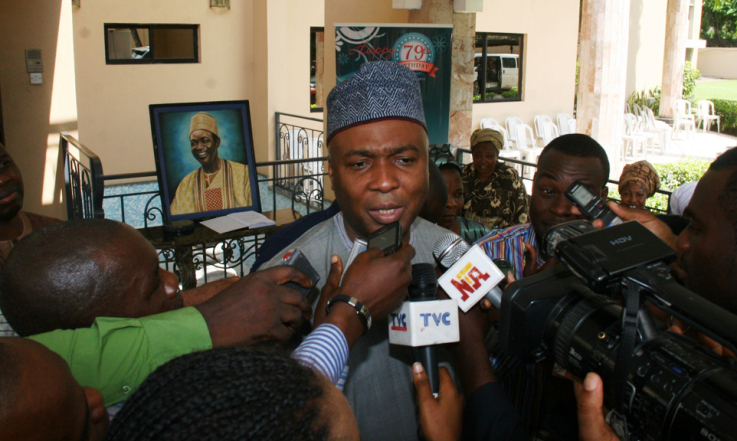 “When the governor approached her, he immediately requested for the results. But the woman told him she had no results with her. He started scolding the woman and accused her of working with PDP to rig election. 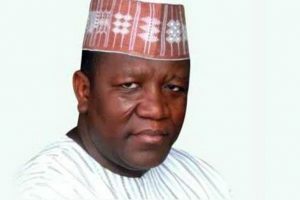 When the woman tried to speak, the governor in a fit of anger slapped her and started searching the vehicles for the results”, the official said. 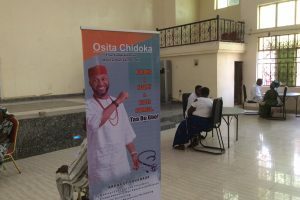 Our correspondent, who was at the INEC office, Owerri yesterday evening saw the woman, a staff of one of the federal institutions in the state, kneeling down and crying to God and cursing the governor. 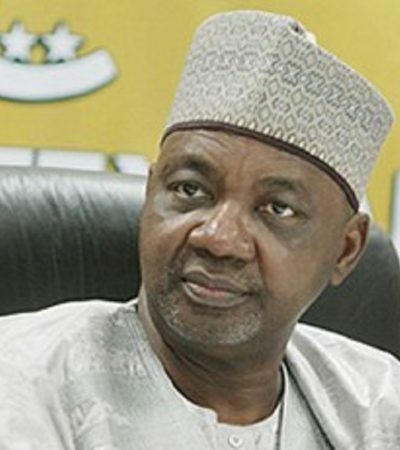 He also disclosed that since Sunday morning, the governor had been trying to intercept electoral results from their officers, but had not succeeded in snatching any of the results. 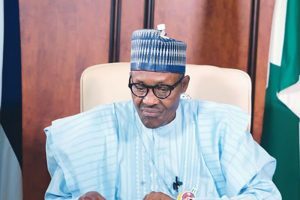 Meanwhile, More than 2000 supporters of the All Progressives Congress, APC who came to the headquarters in Imo State to protest the alleged diversion of ballot boxes to unknown destination were teargased yesterday by combined team of security agecies. 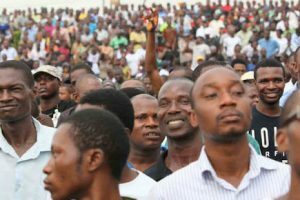 The protesters who hit the street after being briefed some state government officials at the International Civic Centre, ICC, Owerri, marched to the INEC office along Port Harcourt-Owerri Road to lodge their complaints of alleged diversion of ballot boxes to the commission. 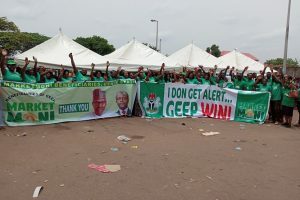 They complained that the INEC officials instead of collating and announcing the results at the designated ward centres insisted that the results would be sent to INEC office in the state where it would be announced. They maintained that they were not allowed to register their protest, adding that they were teargased by masks policemen. 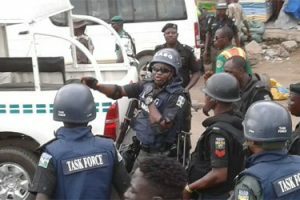 As the protesters led by the Commissioner for Youths and Sports, Mr. Kenneth Emelu, advanced to the INEC office, the combined team of the security agencies stationed about 30 metres away fro the commission’s office shot at them with tear gas to disparse them. However, some journalists that were at the INEC office waiting anxiously for the results were advised by the Civil Defence officers to lay on the floor in case of stray bullets as the angry protesters approach the place.